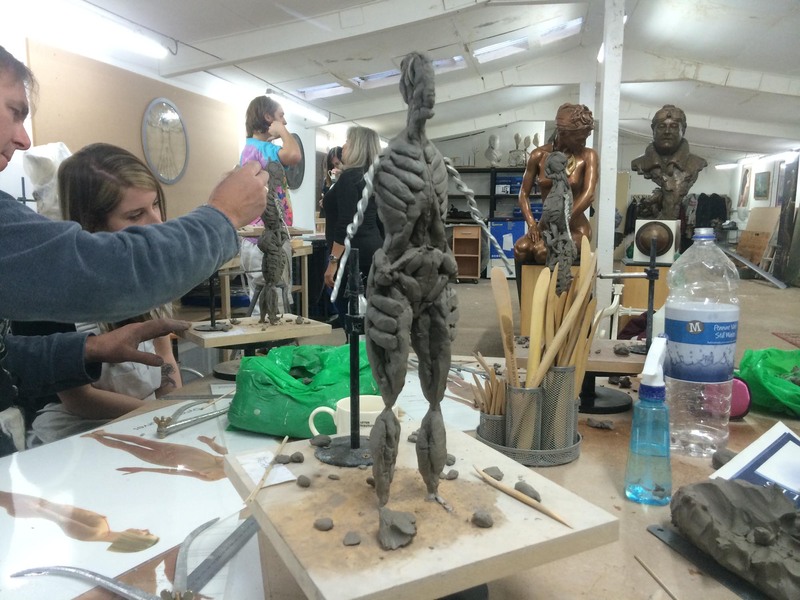 I spent my first figurative sculpting weekend with Andrew Sinclair and Diane Coates at The Sculpture School in Devon. It was a fantastic experience! The weekend was so much fun and I made new friends along the way. 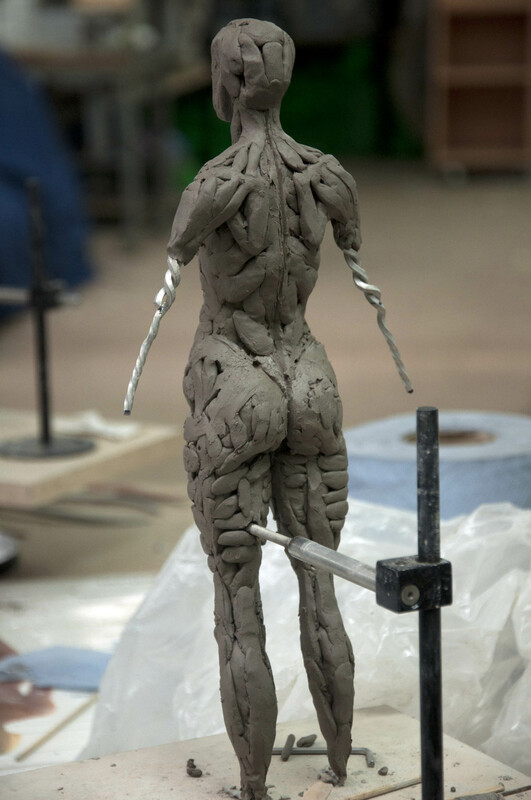 The two-day workshop consisted of sculpting a full figure, in this case the female form. We explored the human body as a design. 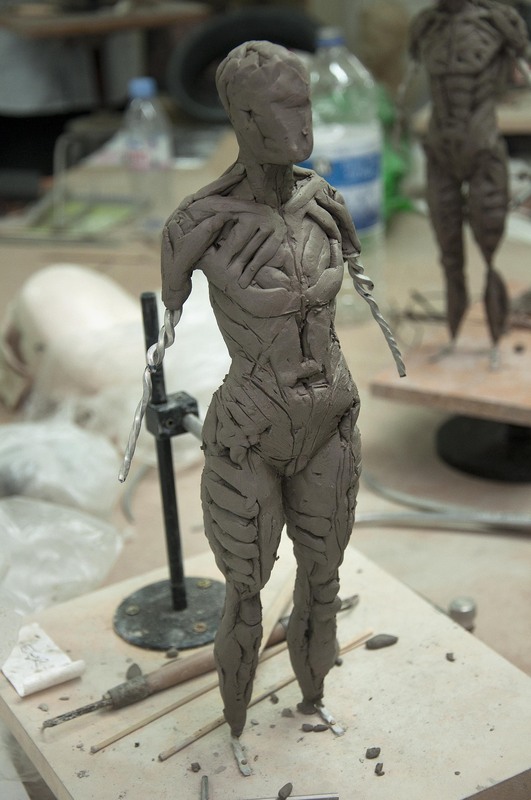 Andrew emphasized just how important anatomical knowledge is when sculpting the female figure. Andrew explained that everything in the human body is connected through dynamic curves. Sound knowledge of human anatomy allows you to ‘start from a point of perfection’. 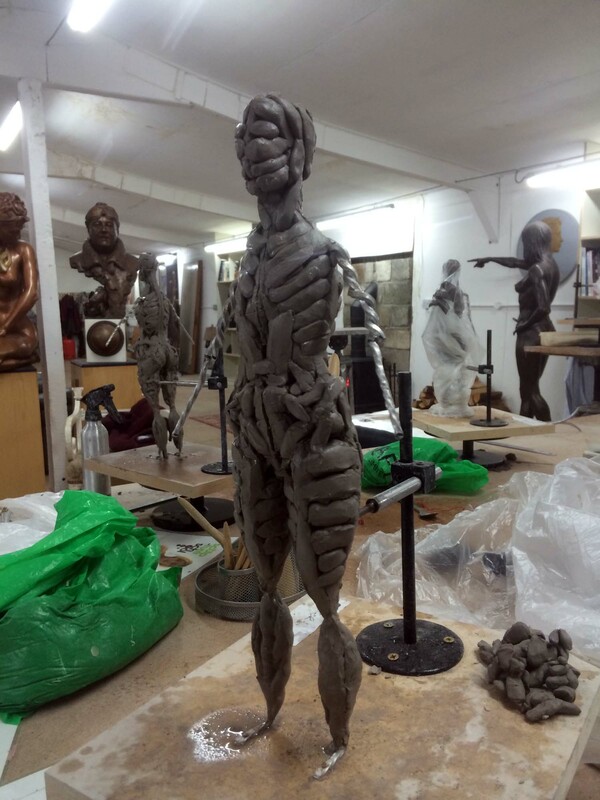 With this sculpture we began with a profile, in part because we see in 2D and starting from a profile makes it easier to be specific regarding proportions and is faster to assimilate. Dynamic curves are the life of a model. 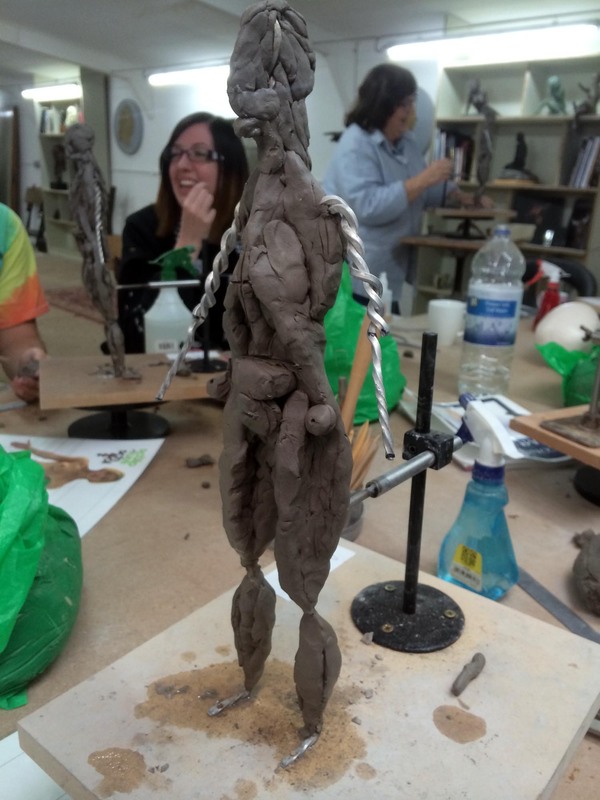 It’s essential to understand that a person is always moving despite a static pose, so it’s vital to capture a sense of imminent movement in your sculpture. When working from a model you should never be too constrained by anatomical processes but rather always be looking for the energy curve. As an artist you are looking for dynamic beauty in the body. This might be in the form of curves or triangles but they are always interconnected as one, working in harmony with one another. Anatomy will never flow correctly if the base design isn’t right. We explored the thirty-four muscles and associated muscle groups of the human figure as well as their relationships with one another. Andrew emphasised that we are not clinical like doctors. 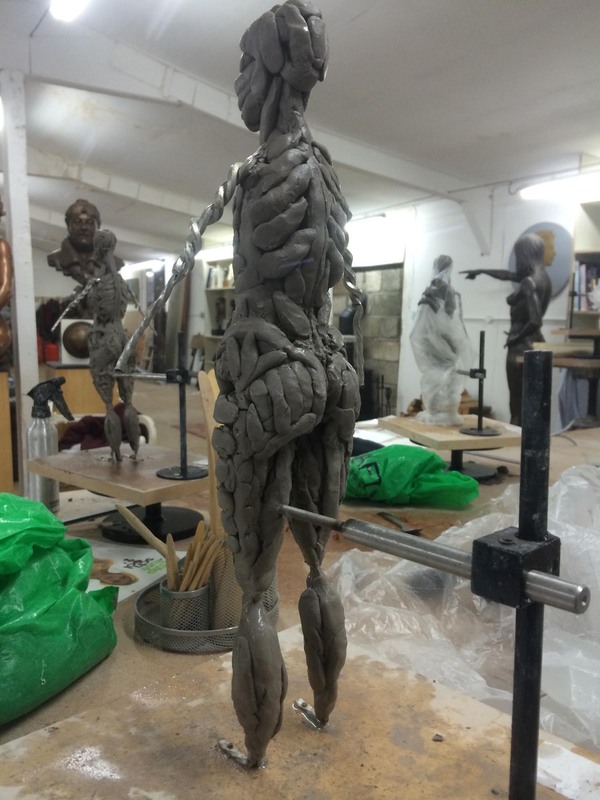 Instead we should bring our sculpture to life with real passion for the curves and beauty of the human body. When working, adding ‘sausages’ of clay is important to laying out raw foundations and structure. 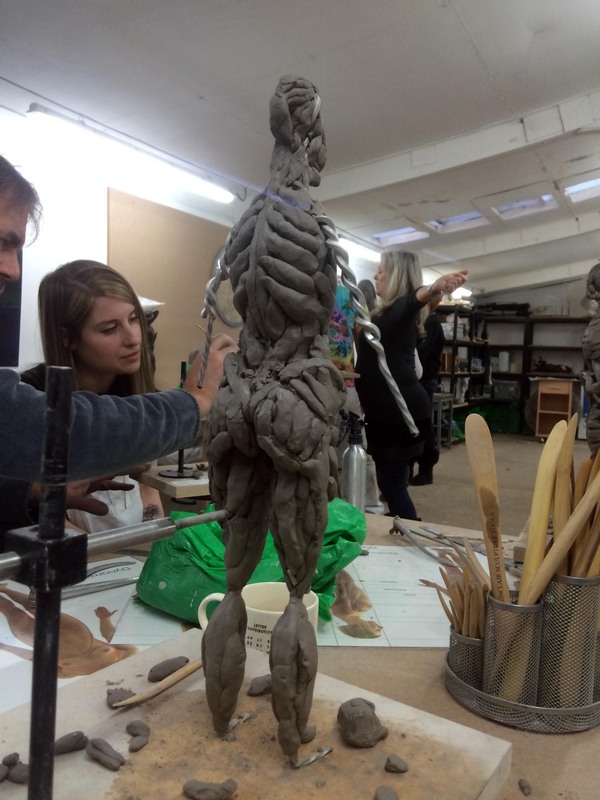 A sausage of clay, as opposed to a ball of clay, gives us rhythm and line. This is essential when creating dynamic curves. We covered a huge amount of ground in just two days. 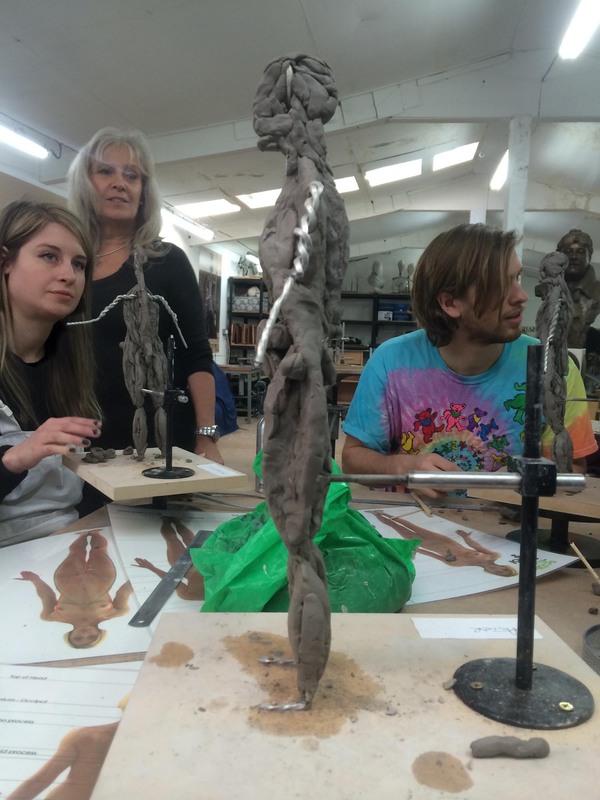 We learned how to ‘sketch’ out our sculpture, with dynamic curves and anatomical structure. 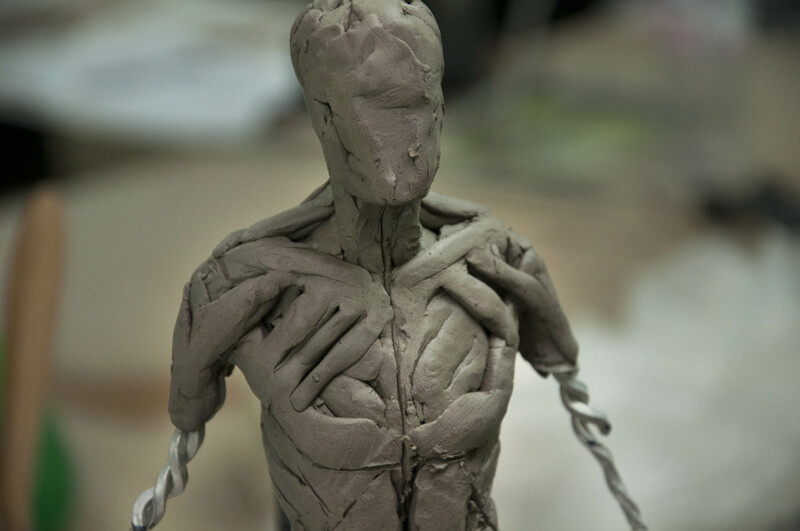 Once this is in play (Our sketch), you can then begin to truly sculpt. We were taught so much during the workshop that I will continue to practice and refine what I learnt over the coming months. Andrew Sinclair is a phenomenal teacher. He is generous with his wealth of knowledge and conveys it so that everyone can understand. It was a privilege to be taught by Andrew and truly an inspiring experience. 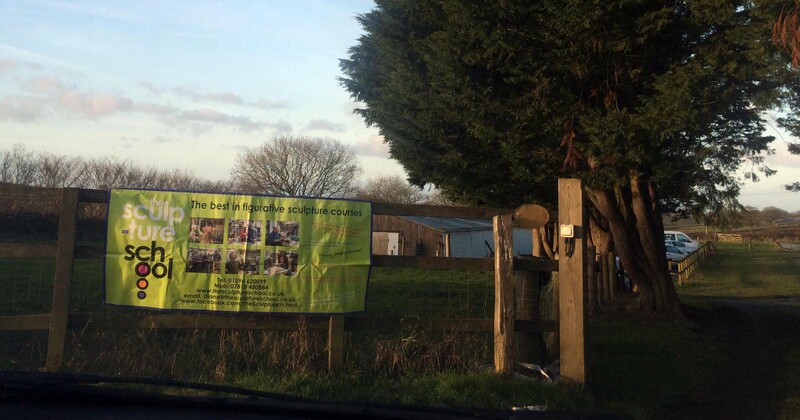 Just want to say a BIG thank you to Andrew, Diane, Angela (our life model) and everyone who attended the weekend! I had an absolute blast!! I’ll definitely be back for more! I’d also like to give Paul and Muriel a quick shout at Nichols Nymet House B&B, good digs and good breakfasts!